Pangea Builders is an educational and research organization providing sustainable buildings for residential, commercial and government use. We are specialists in Modern Off-Grid Designs, Systems and Construction. We are dedicated to high quality, super efficient and skilled craftsmanship. Our primary goal is to provide buildings that are sustainable as possible as affordably as possible. We value the opportunity to work with you. Our services are based on many decades of experience on all kinds of buildings, systems and lifestyles. We offer standard designs and custom designs to make your dreams come true. We are available for projects small and large. New builds, custom builds and renovations & remodels. Pangea Builders offers a comprehensive suite of community development services that allow individuals, communities, and cities to completely thrive as independently as possible. Pangea Builders are experts at acquiring permits for passive house, earthships and any other type of green building. Included in our services are production of construction drawings and permit set drawings to get a permit to build your beautiful green building. Our prices are more affordable than anywhere else. In most cases we can provide stamped drawings by an engineer. Self-sustaining, can be totally off-grid, modern homes constructed from locally-sourced, reclaimed materials. 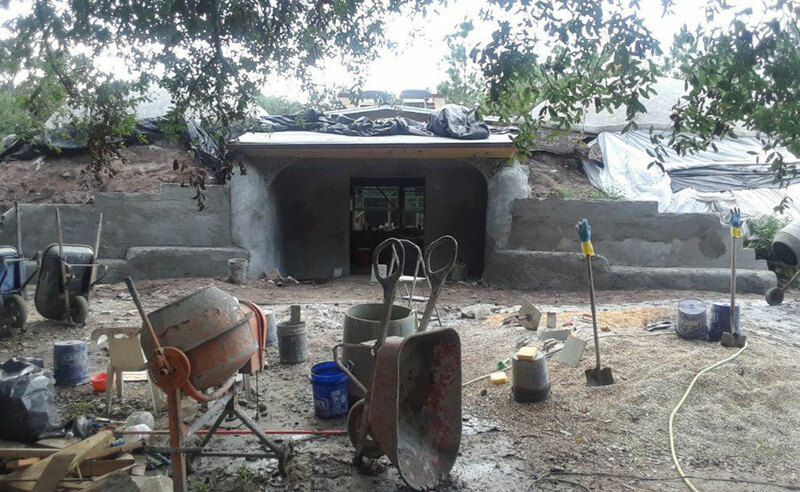 Earthships can be built in any part of the world, in any climate and still provide comfort, electricity, potable water, contained sewage treatment and sustainable food production. 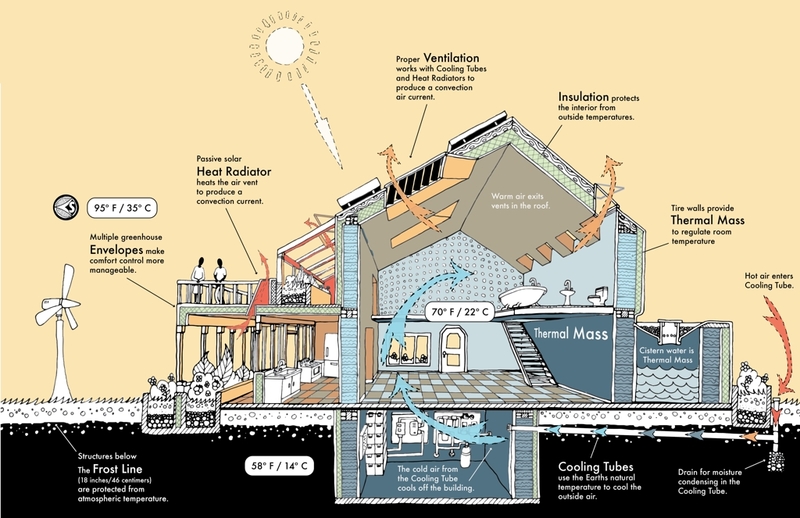 Earthships are thermal mass homes first, passive solar homes second. 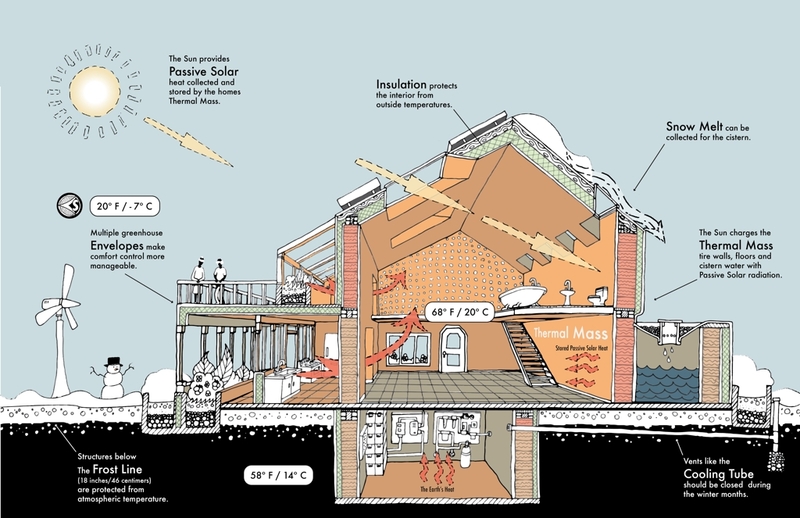 Meaning: Whatever temperature goes into an Earthship, it will hold and since it is also a Passive Solar House, it is also very tight and interacts only with the sun and the earth for heating and cooling, providing stable comfort year round in any climate. 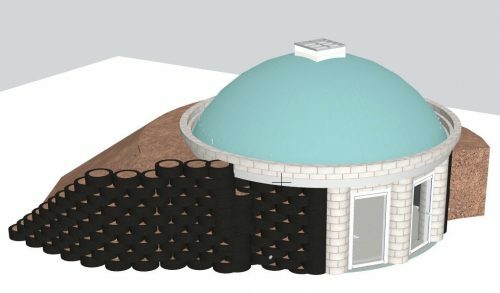 The passive house design is ultra-insulated, sealed tight and can have some or all earthship systems: electricity, potable water, contained sewage treatment and sustainable food production. Passive design strategy carefully models and balances a comprehensive set of factors including heat emissions from appliances and occupants to keep the building at comfortable and consistent indoor temperatures throughout the heating and cooling seasons. As a result, passive buildings offer tremendous long -term benefis in addition to energy efficiency. 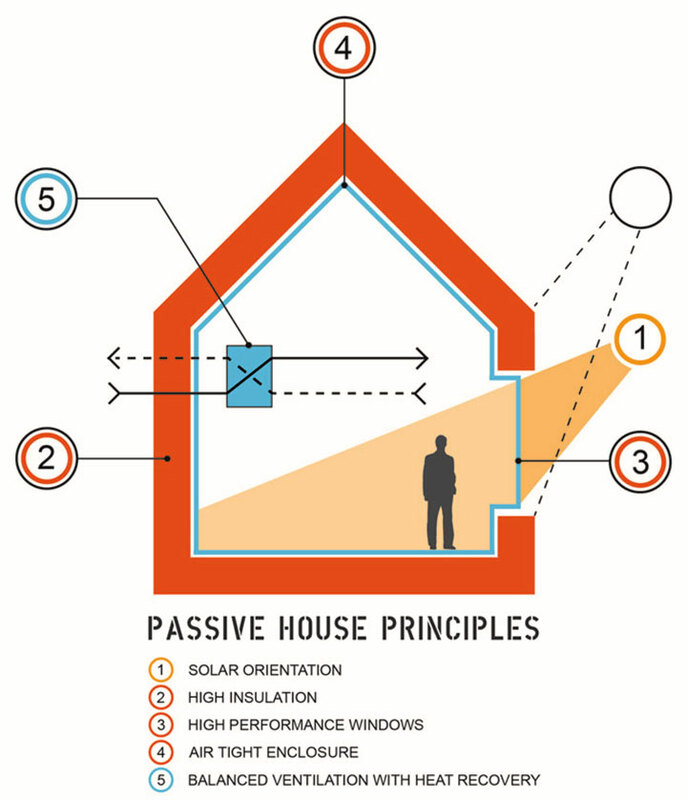 Passive building principles can be applied to all building types from single-family homes to apartment building to offices and skyscrapers. Conventional building layouts using sustainable materials and system. Looks like a conventional home, but acts like an earthship. 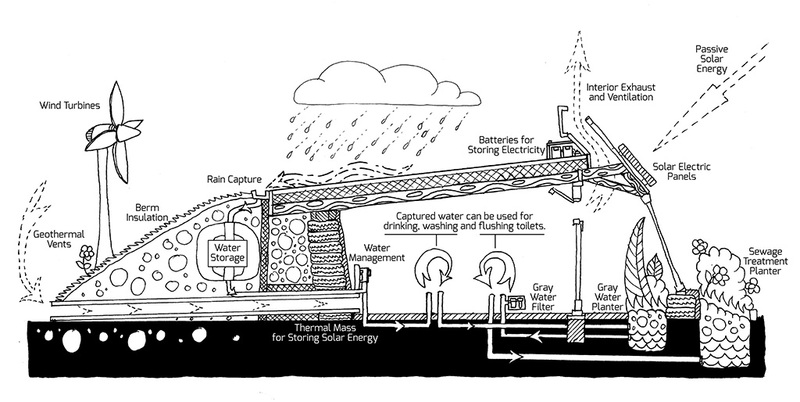 Can include some or all of the earthship systems: electricity, potable water, contained sewage treatment and sustainable food production. Craftsman designs, Colonial designs, Standard American Homes designs an more. Quality Construction and Green Buildings for any design. We offer building options covering all designs and floor-plan layouts. We provide a one-stop experience for anyone wanting to build, renovate, restore, or remodel… from the first-time private owner to the experienced developer. 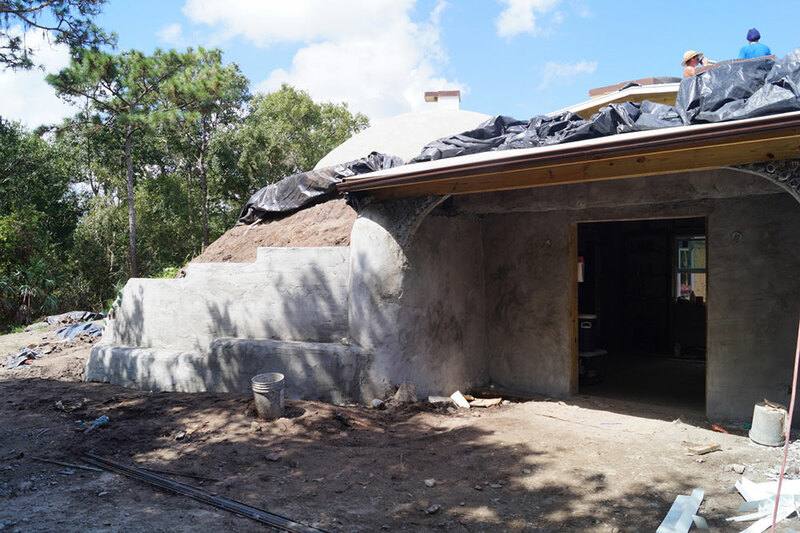 Areas of special expertise and extensive experience include adobe building preservation and restoration, historic property preservation/restoration/renovation, design-build, school facilities, modular construction/installation/design, project planning and construction management. Our team of experienced professionals can take you from an idea to functional concept to the development of a realizable plan with a realistic budget, to the finished building. The most sustainable building is the building that is already built. Existing conventional buildings can be and should be retrofitted and remodeled toward becoming green buildings. Remodeling kitchens and bathrooms make a huge difference and increases the value of your home. We are focused on customer satisfaction and the environment and implement many green practices in our kitchen and bathroom remodeling projects. We will guide you through the design process and material selections keeping your budget in mind to achieve an outcome beyond your expectations in the most used room of your home. We handle all aspects of the project from the demolition and design work to the finishing touches. We install granite, quartz, soapstone & laminate counters, wood and ceramic flooring, ceramic backsplash, and a wide range of high quality cabinetry. Hall bath, master bath or powder room – we use the highest quality materials, from bath fixtures to ceramic tile. We bring together the latest design elements with curbless showers, custom frameless shower doors, comfort height toilets, whirlpool and bubble tubs. We haveÂ invaluable skills and experience with the design of a new bathroom especially when relocating fixtures. From simply adding living space in your basement or something more complex with a wet bar and bathroom to adding bedrooms or a home office in the attic and everything in between. Whether it be a small kitchen or bath expansion or a full second story, our team of skilled craftsmen have the knowledge and experience to bring your idea to reality. 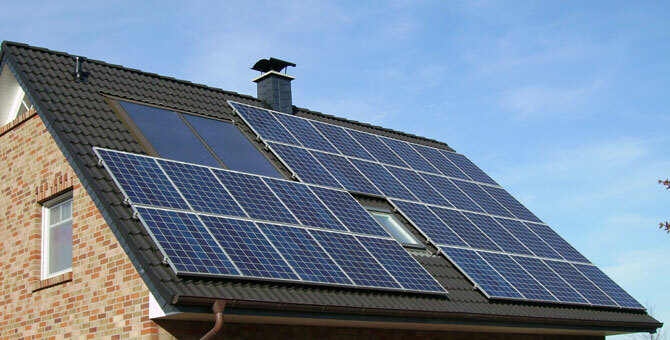 Building regulations require today’s new homes to be more eco-friendly than ever before. But if, like most Australians, you’re not living in a freshly constructed home, you’ll need to embrace retrofitting if you want to improve your home’s sustainability. A lot of homeowners are daunted by the word ‘retrofit’. They assume it’s going to be an expensive and complicated process, but retrofitting just means updating your home with the technology and materials we have available to us today. It is making small but effective improvements within the bounds of your existing home’s design. Here are three ways you can instantly boost your home’s green credentials. Retrofitting an existing building can oftentimes be more cost-effective than building a new facility. Since buildings consume a significant amount of energy (40 percent of the nation’s total U.S. energy consumption), particularly for heating and cooling (32 percent), and because existing buildings comprise the largest segment of the built environment, it is important to initiate energy conservation retrofits to reduce energy consumption and the cost of heating, cooling, and lighting buildings. But conserving energy is not the only reason for retrofitting existing buildings. 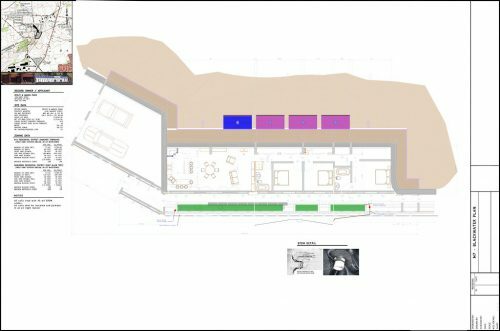 The goal should be to create a high-performance building by applying the integrated, whole-building design process, to the project during the planning or charrette phase that ensures all key design objectives are met. For example, the integrated project team may discover a single design strategy that will meet multiple design objectives. Doing so will mean that the building will be less costly to operate, will increase in value, last longer, and contribute to a better, healthier, more comfortable environment for people in which to live and work. Improving indoor environmental quality, decreasing moisture penetration, and reducing mold all will result in improved occupant health and productivity. Further, when deciding on a retrofit, consider upgrading for accessibility, safety and security at the same time. The unique aspects for retrofit of historic buildings must be given special consideration. Designing major renovations and retrofits for existing buildings to include sustainability initiatives will reduce operation costs and environmental impacts, and can increase building adaptability, durability, and resiliency. Before making what may amount to a major investment in the retrofit of existing buildings for energy and sustainability improvements, it is important to determine if the investment is worthwhile in perspective with other building conditions. Is the building structurally sound? Are seismic upgrades needed to meet current standards and local building code requirements? Do hazardous material like asbestos, polychlorinated biphenyls (PCB) and lead paint have to be contained and removed? Can the work be done in phases to minimize disruption to the occupants? Relocating occupants to other facilities can be a significant expense. If a vegetative roof is being considered, is the roof able to support the additional weight without costly reinforcement? Look for opportunities to reduce the cost of the work by recycling waste and demolition materials. Once you have determined that other building conditions are not impediments to upgrading for sustainability and improved energy performance, you should have a plan and follow a sequence of activities in order to determine the best options for energy and sustainability improvements. First, determine if the existing systems are operating at optimum levels before considering replacing existing equipment with new higher efficiency equipment. This can be accomplished by performing an energy audit. Sometimes, considerable savings in utility costs can be gained by evaluating the performance of the building envelope and existing systems: leaks, clogged/dirty filters, stuck dampers, disabled sensors, faulty or incorrect wiring, or even lack of knowledge on how to properly operate and maintain equipment can all contribute to inefficiencies and increased costs. Audit the performance of the building’s water systems as well; since leaking and inefficient systems not only waste water, they also use energy by needlessly running pumps and other electrical equipment. Then, if the building is metered, review utility bills from the last two years to determine if consumption (not cost) has risen. Federal Agencies are required by Executive Order 13514 to have 15 percent of their existing facilities and buildings meet the Guiding Principles by the end of FY 2015, with continued improvement toward 100 percent thereafter. For existing federal buildings, performing an energy audit (assessing existing condition and operational procedures of the building and major building systems and identify areas for improvement) is one of the Guiding Principles for Sustainable Existing Buildings. Next, determine air tightness of the building envelope by examining the building envelope, looking for leaky windows, gaps around vents and pipe penetrations, and moisture intrusion. Upgrading heating and air-conditioning systems without addressing problems with the building envelope will result in less than optimum performance of those systems. Employ the methods in ASTM E1827, Standard Test Methods for Determining Airtightness of Buildings Using an Orifice Blower Door and ASTM E779, Determining Airtightness of Buildings Air Leakage Rate by Single Zone Air Pressurization. Consider also doing tracer gas test described in ASTM E741, Standard Test Method for Determining Air Change in a Single Zone by Means of a Tracer Gas Dilution. Recommission all energy andand water systems to determine they are operating at optimum performance; then upgrade energy and water systems to minimize consumption. Develop a plan to optimize the recycling and reuse of demolition debris and construction waste to minimize waste sent to landfills. Evaluate occupancy patterns, then apply daylight, HVAC and lighting sensors in appropriate locations. Incorporate energy efficient lighting into the project as appropriate for the tasks and functions of the spaces. Determine if natural ventilation and fresh air intake are feasible alternatives to reduce heating and cooling loads. Investigate renewable energy options that can offset the purchase of fossil fuel-based energy. Consider solar shading devices for windows and doors, including those that generate electricity by photovoltaic (PV) devices. Replace existing windows with high-performance windows appropriate for climate and exposure. If building requires security upgrade, evaluate blast resistant windows and films. If building is located in a high noise area, evaluate windows that also include adequate exterior to interior noise reduction. Analyze the benefits of distributed generation if the building is in a campus cluster or can share the on-site energy produced with adjacent buildings. Balance the project’s sustainable goals with its security goals including protecting the building and its occupants from natural and man-caused disasters. Certain site renovations can improve the energy performance of the building including reducing the heat island effect. Determine if a cool roof or green roof are cost-effective ways to reduce heat island effect and stormwater runoff. Employ Energy Star and/or a green building rating system for existing buildings like LEED for Existing Buildings: Operations and Maintenance (LEED EBOM) or Green Globes for Existing Buildings to gage the building’s level of performance. For historic buildings, update systems appropriately to maintain a balance between the need for energy and water savings with the character of the original building fabric. Take the opportunity afforded by the building renovation to incorporate sustainable operations and maintenance practices and switch to green cleaning products and methods. To ensure a newly renovated building continues to perform as designed, measure the performance of the building regularly. If not already metered, plan on installing meters for electric, gas, water and other utilities. Smart meters and submeters are preferable to monitor real-time consumption, control demand and increase tenant accountability (cost control). 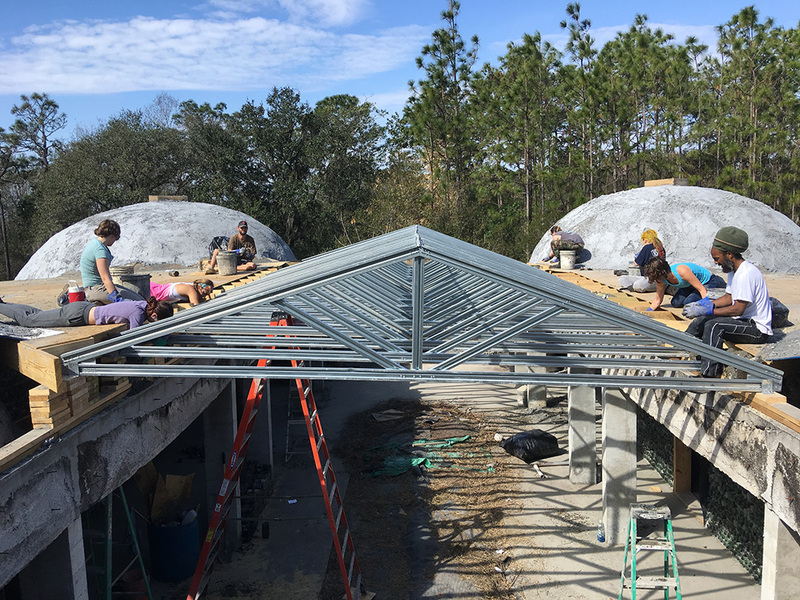 Learn from Master Earthship Builders and Designers with a full curriculum covering the world of sustainable design, construction, systems and lifestyle. We teach hand-on in the field combined with classroom time with curriculum textbooks, all in 4 weeks sessions. We are dedicatedto teaching sustainable systems, design and construction by demonstration, example and classroom experiences. This providesthe Philadelphia area and the world with an embassy of sustainability where people can see, touch and learn how to live more sustainably on this planet. This is for peoplewho are interested in having a hands-on, in-depth learning experience into the world of sustainable design, systems, construction and living. We accommodate alllevels of skills and abilities. Fill out the form and our team will be in touch with you promptly. Thank you for your interest! We look forward to working with you.